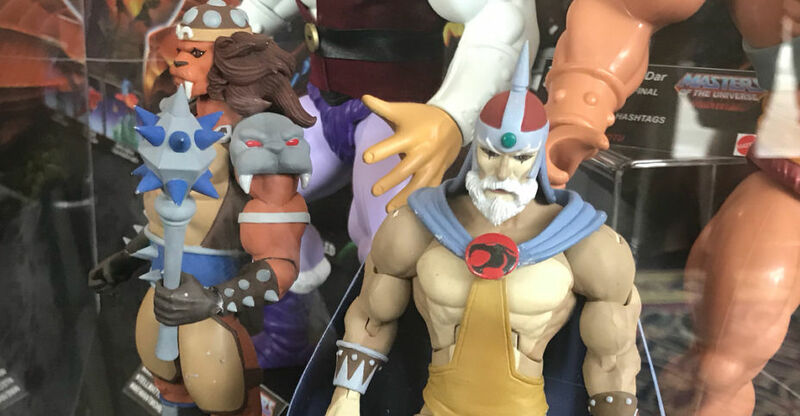 At Power-Con 2018, Mattel had a display of some potential new Masters of the Universe and Thundercats Classics at their booth. For Masters of the Universe, since Super 7 is handling the main line, Mattel was showcasing updated Jumbo 12″ figures, which have new head sculpts that more accurately reflect the classic toys. they also dropped in a couple of surprise Thundercats Classics figures! They had Jaga and Grune on display. Everything is listed as “Concept Figures” with no guarantee they will be produced, so this may wind up being a display just for the sake of having a display at the show. The photos come courtesy of ToyShiz on Instagram. More photos have been added of additional concept items and Mega Contrux. Here’s our photos of the Mattel panel from New York Comic-Con 2013. Covers DC Universe, Masters of the Universe classics, Batman Classic TV Series, Watchmen, etc. The hits just keep coming from this year’s New York Comic Con event! Next up is our coverage of the fan favorite Masters of the Universe Classics line by Mattel. Fans and collectors alike will be pleased with the assortment, as the likes of the heroic Extendarr and Modulok from the Evil Horde will finally join their MOTU series mates on our shelves. Sky High, Battle Lion, the in-package Castle Grayskull and many more are also on display to whet your appetite! Also included in the assortment of images are the adorable MOTU Minis figurines! There will be 6 different sets of MOTU Minis to collect throughout 2014 and will cost $20 USD per set. Join us after the break for a full gallery of Mattel’s Masters of the Universe Classics display at NYCC 2013! Toy Guru has posted a new video preview. 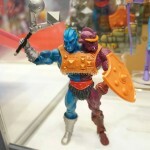 The video gives us a new look at the Masters of the Universe Classic 2014 Figures revealed during Power-Con. Characters included in the preview are Battle Lion, Horde Troopers, Hydron, Modulok, and a quick update on Glimmer. Check out the video above and let us know your thoughts in the comments!